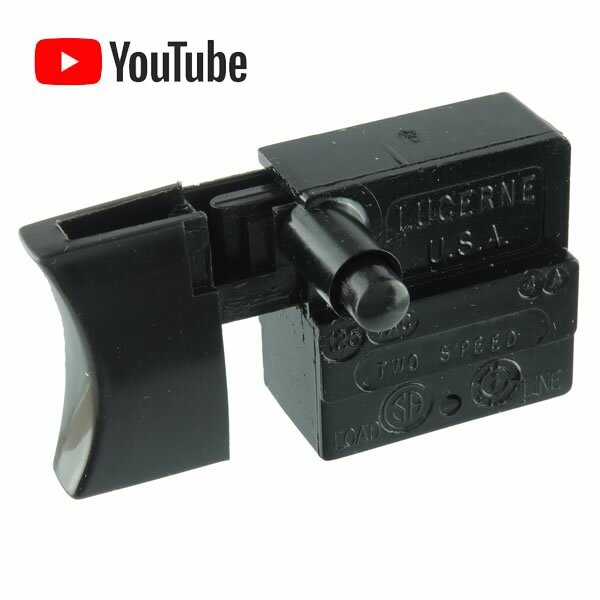 Lucern 2 speed 125VAC 4Amp locking/quick release trigger switch for power tools. We have been told this fits Ryobi Router and old Sears polish-grinders, however we don't know for sure. To use the wires from your power tool are pushed into slots on switch (it has no visible connections). New - Old Stock.